Fast, reliable guest wireless is essential for today’s hospitality industry, and we’ve got you covered with our stylish new wall-plate access point, the MR30H — engineered to accommodate hotels’ highest standards. 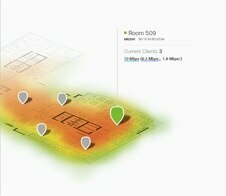 But the Meraki solution offers so much more, like out-of-the-box location analytics to better understand guest behavior and foot traffic; integrated Bluetooth to seamlessly interface with iBeacon© apps; full stack offerings to easily manage all components of your network from a single, web-based dashboard; and the unlimited scalability of Meraki cloud management. How many guests use your fitness facilities on a daily basis? Are gyms more popular at certain hotel properties? How long did guests spend at the lobby bar this past week, and how many spent over an hour at the hotel restaurant last Thursday? How many guests return to the same property on a weekly basis and should be targeted for VIP offers or promotions? 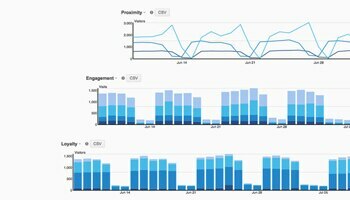 With uploaded floor plans, it’s easy to visualize trends in guest density over time, allowing you to make more informed staffing decisions for your front desk, poolside, or spa facilities. The MR30H AP comes with an integrated Bluetooth radio that can receive or advertise Bluetooth Low Energy (BLE) beacons, allowing seamless integration with third party applications designed to interact with battery-powered — or wearable — Bluetooth tags. Check out our Meraki proof-of-concept concierge app. Best-in-class, 802.11ac Wave 2 wireless with gigabit throughput? Check. Multi-user MIMO architecture to support multiple client devices simultaneously? Check. Slim and svelte aesthetics? Check. Isolated, secure guest WiFi in 3 dashboard clicks? Check. Enterprise grade security and authentication? Check. Layer 7 traffic shaping to easily throttle, block, or prioritize applications and prevent bandwidth hogs? Double check. shaved at least a month off our deployment. Streamlining in-room network access with a 1:1 (one AP per room) + wired ports for in-room VoIP, entertainment, lighting, and more. Ease of deployment, streamlined configuration and proactive network maintenance across all properties helps deliver powerful and consistent services, leading to increased guest satisfaction. Centralized visibility and detailed network insights help staff quickly respond to and resolve network issues before they ever impact guests.